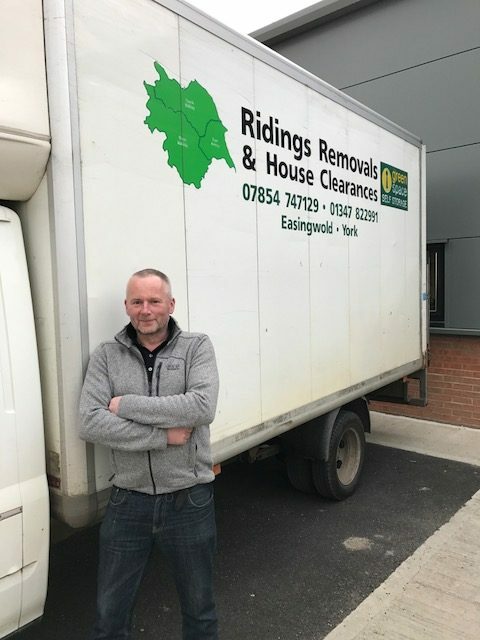 Ridings Removals offer a professional, affordable removal service to clients throughout Easingwold, York, Thirsk, Tadcaster and the surrounding areas. We cater to both domestic and commercial clients and regularly receive recommendations from customers and estate agents alike! When it comes to removals, we’re among Yorkshire’s leading experts! Simply tell us your removal requirements and we’ll be there on the big day to make sure everything goes as planned. Our staff are friendly, helpful and committed to ensuring all your belongings reach their destination safely. We’re fully insured and renowned for our reliability, attention to detail and straightforward service. Most of our work comes from customer recommendations. Full and partial clearances are undertaken for domestic and commercial properties. We are recommended by solicitors and customers alike for our caring and efficient service. Non-required items are donated to a charity of the customer’s choice or recycled wherever possible. If you’re moving abroad, going travelling or simply de-cluttering your home, placing your belongings in secure storage will ensure they are safe and cared for. We can collect your items and place them in a secure unit at the Green Space self-storage facility in Sutton on Forest, North Yorkshire. We are pleased to offer discounted rates to all our customers. We can also offer alternative container storage in Easingwold, for more details, please don’t hesitate to get in touch wtih us.